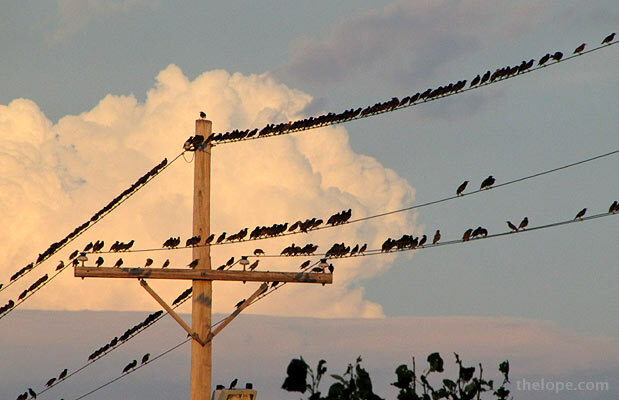 Birds lounge on power lines at 30th and Lorraine in Hutchinson, Kansas, yesterday. 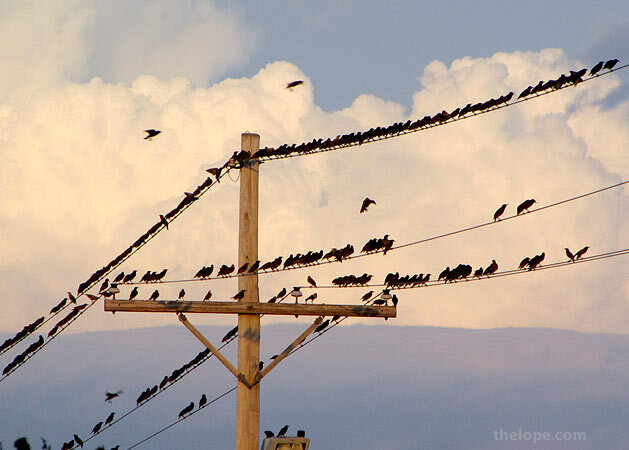 Tomorrow, August 13th, is Alfred Hitchcock's 111th birthday, by the way. Sweet dreams.